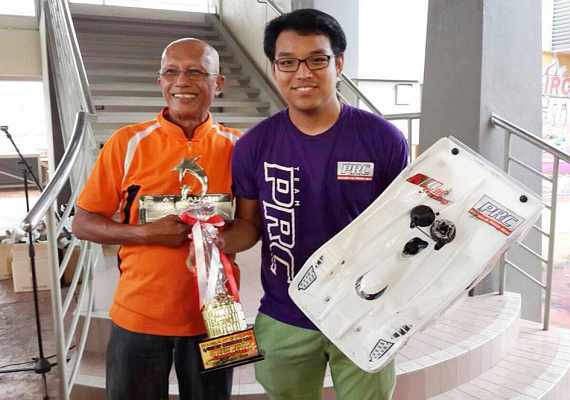 H-K1 & Azri Amri took 2014 Malaysia National 1/10 GP Champion Title!!! 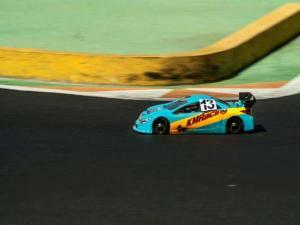 KM H-K1 won Brazil 700 laps endurance race continue 3 years champion!!! We have a good news from Western part of Japan. 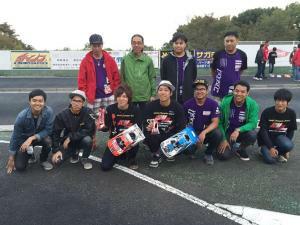 TamTam Gifu branch renew their racing track, and they just organize Opening Race. 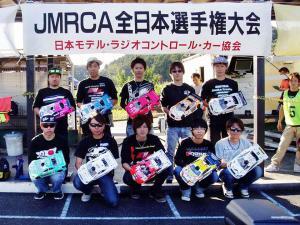 Therefore, from Tokyo area, some expert drivers like Fukuda with Mugen also attend this race. 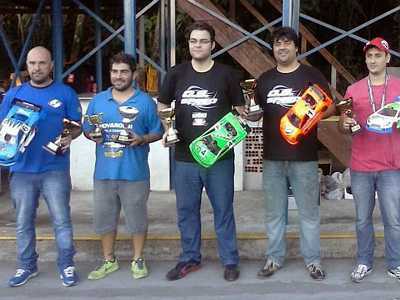 However, local H-K1 drivers dominate the podium against such expert drivers!! 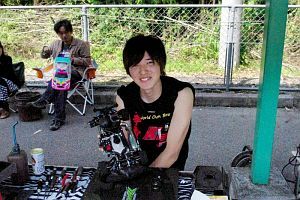 TQ was taken by Mugen Fukuda-san, and 2nd was KM Asahara-san…. 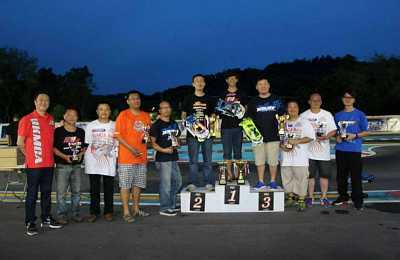 When the grand final start, in 2nd lap, Asahara-san pass Fukuda-san and keep leading the final…. This good battle was continued by 5 minutes, but Fukuda-san crash and finish his race. 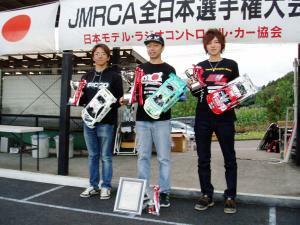 So, Asahara-san made huge comfortable lead and become 1st memorial winner on this new track!! Thank you very much for ALL H-K1 Drivers! ! 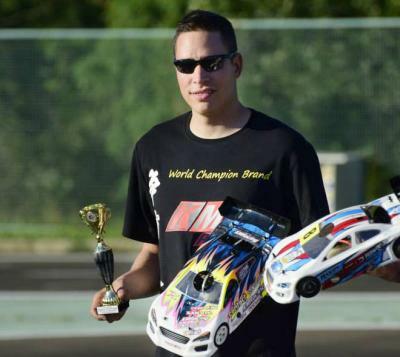 Great News From Czech Nitro On- Road National Chamionship ! 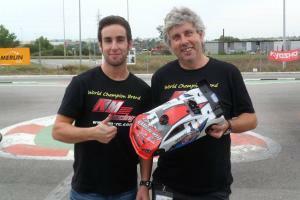 Michael Jensa & H-K1 are the yearly Chamipion! ! ! 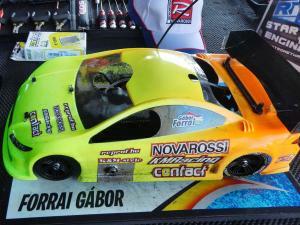 The final round of the Czech nitro on-road championships. 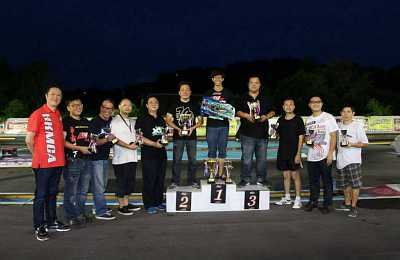 Great News From 2014 All Japan 1/10 GP National Championship!!! 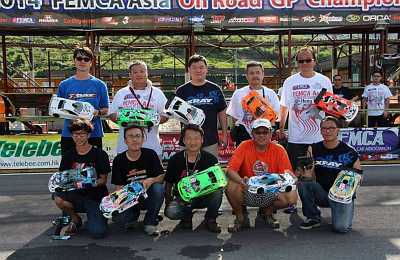 Semi Final, Takahata keep comfortable lead for whole 20 minutes, and start from 3rd grid for following grand A final. 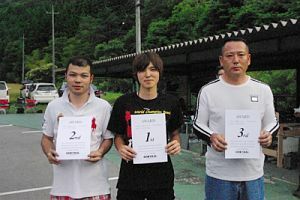 And Shimazaki also finish 3rd in this group then also got the grand final seat. 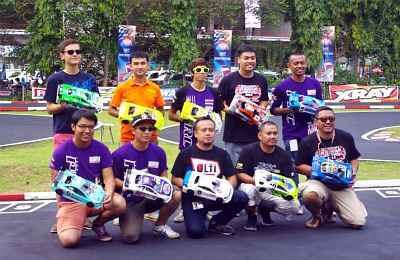 Another semi-final group, Meen was the fastest in the group, no one doubt to get grand final seat, but touch the fence a little, and unfortunately the chassis fly to the air, and chassis got damaged, must fix his chassis, when back to track, it was too late, the race is almost finished. 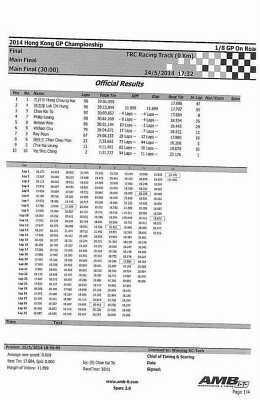 Charlee finished 4th in this group, but another group 4th and 5th place, only 2 second faster, so Charlee finish his race as 11th place and couldn’t get the A main seat..
Grand Final, all 10 drivers are very famous world top drivers. 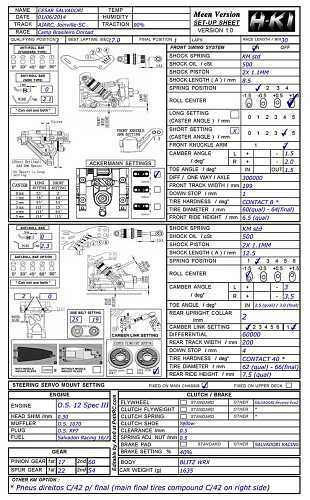 Among such drivers, 3rd position start,KM H-K1 Takahata pass 2 cars and keep running the race as leader, only 1/8 World Champion, Sahashi can follow H-K1… All other cars can not follow these 2 cars. Same lap, same timing, leader Takahata and Sahashi enter pit lane for their first pit stop for fuel, Sahashi back to track first and Takahata back to track as second…. 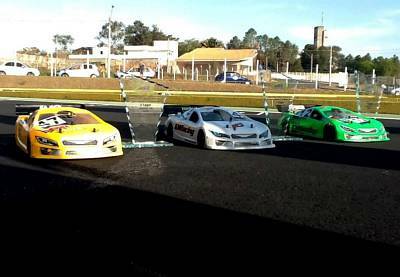 These drivers were too fast to follow for other drivers. 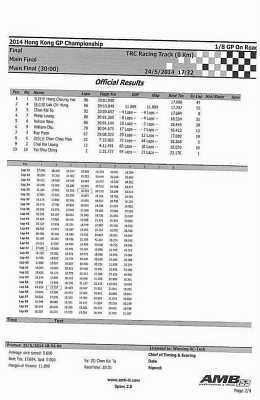 Approx., 20 minutes (grand final is 40 minutes), all drivers change tires, just before change tire, last 2 minutes, Takahata’s tire wear too quick than he expect, so the 2 minutes, he had to slow down the pace, so the position become 2nd to 4th position… After change tire, his lap time back to normal, and pass all cars and back to 1st place again…. 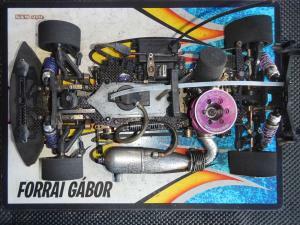 Suddenly, Sahashi engine is flame out, so even he back to track again, podium was too far…. Shimo & Fukuda were keep driving steady, and following Takahata, and Takahata made a small mistake (too much inside and car flip over), and very very unlucky accident was happened here!!!!! 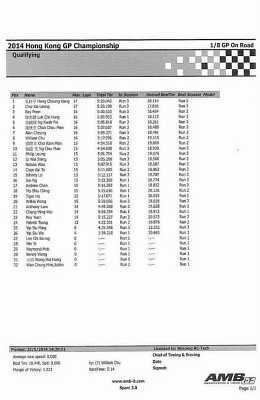 Tkahata’s H-K1 just flip upside down (no damage at all) in front of JMRCA staff (race organizer), and course mersial thought JMRCA staff fix the car just in front, but the staff never help just watching and wait course mersial fix…. 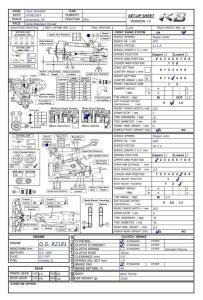 But course mersial position is very far, and he see the staff is just there, so only yelled to the staff to fix the car. 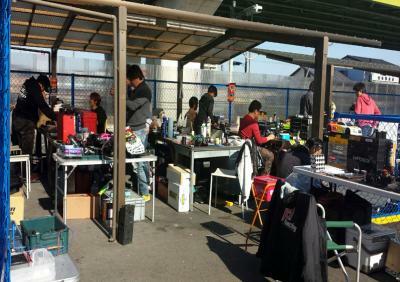 But the staff also yelled to mersial, “ come to help the car…” Even National even, and Grand final…. Leading car is flip over on the racing track, but more than 10 second, no one help the car!!!! Everyone, Takahata, his pit men, and spectators can not believe this happen for grand final!! Very fortunately, even the car is upside down for more than 10 seconds, engine never stop, so he just waist 10 seconds and his position from top to 6th position!! But still approx. 8 minutes left, Takahata H-K1 never give up the race, and keep unbelievable high pace until the race is over, and got the 3rd place!! 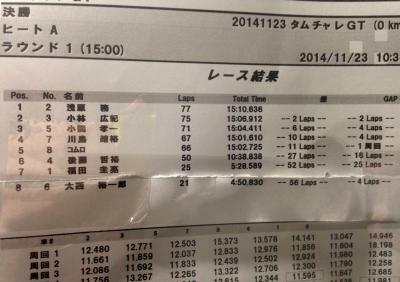 His final position was 3rd, but 40 minutes grand final best lap, Takahata H-K1 is much faster than others. 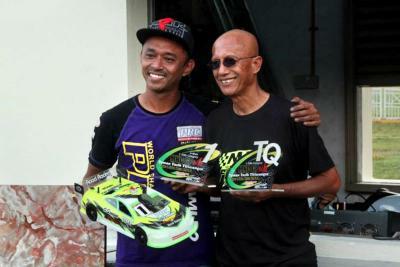 If, Race organizer or Course mersial fix his car normally on time without watching…. 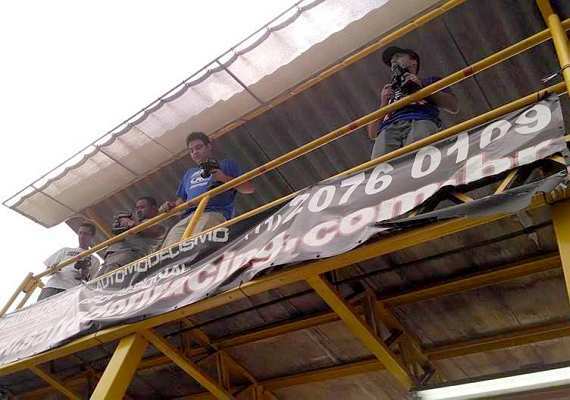 No doubt Takahata H-K1 might win this race… All spectators are same opinion, we think!! 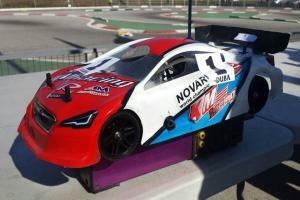 H-K1 is not only strong for high traction racing track, but also fast on any Japanese low traction racing track!! 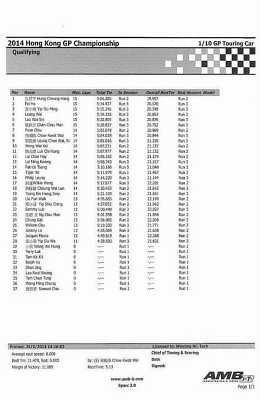 Even Shimazaki finish 5th position among such world top drivers!! 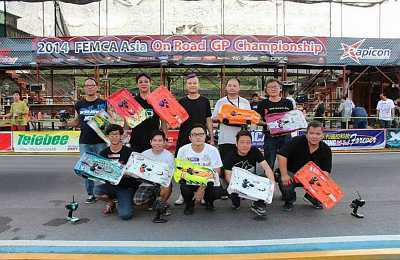 Race is race, I should not say, “if “, but if Meen did not have any bad luck in semi final….we sure he finish top 3 easily for the grand final. Takahata & Meen H-K1 was very very fast on the last day of Japan National, that is why!! Thank you very much!! Good News from KM Japan! 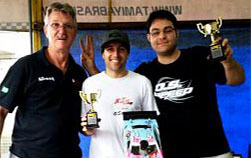 Good news from H-K1 private driver in Japan “Super Cup” GP series race! 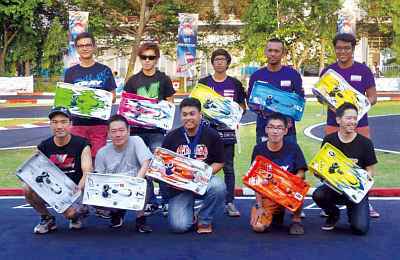 Just last weekend, RC Shop Next organize their 9th series race!! 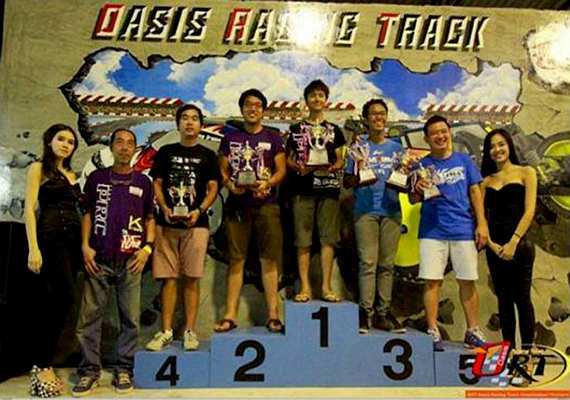 Only 9 drivers attend this race, but H-K1 private drivers got TQ & Win, also another H-K1 driver got 2nd place who is series race Yearly Champion now.The above picture, center is winner Mr. Shimizu, and left side wearing glasses is 2nd place Mr. Morita. 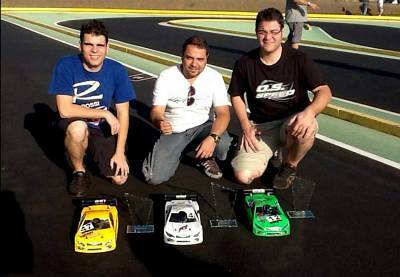 Hugo & H-K1 took 2014 Portugal National Championship 1/10 GP Yearly Vice-Champion! ! ! 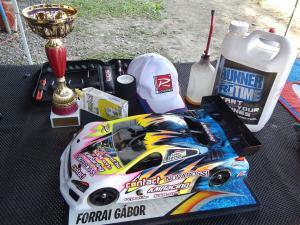 Gabor & H-K1 Won 2014 Hungarian National GP Championship (Final Round) ! We had our last nationals this weekend. 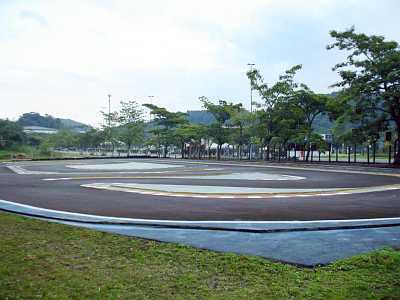 The track surface was not the best, with big long holes in it, the tire worn out was critical for everyone. I had to make a very soft suspension to my car to survive the 30 minutes long final without tire changing. 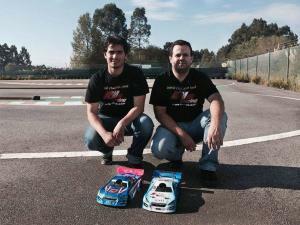 The qualifications went well, I was second on the grid. 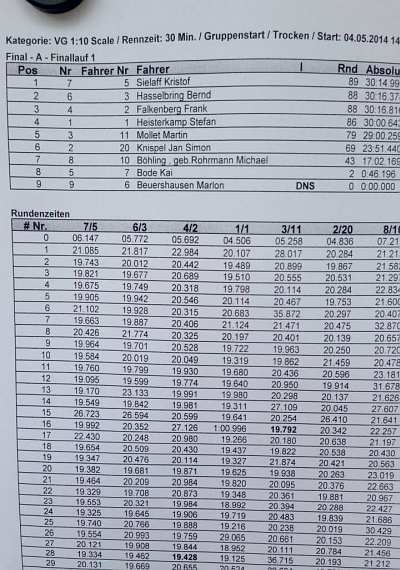 In the finals after the start I lost one position, but I could overtake in a few laps so i was second and I started closing the gap to the leader. 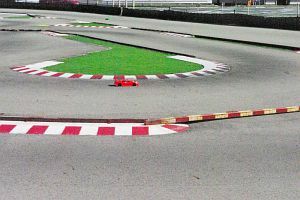 After a few laps, before the first pit stop, my car rolled over in a high speed corner because of a long hole on the track’s surface. The the engine stopped for a few seconds during the pit stop, so after 5 minutes I was two laps behind the field. From than I was pushing my car to maximum, drove without mistake the rest 25 minutes. With the good tire tactic I was able to finish second position, only 10 seconds behind the winner, who is a very experienced Italian driver. 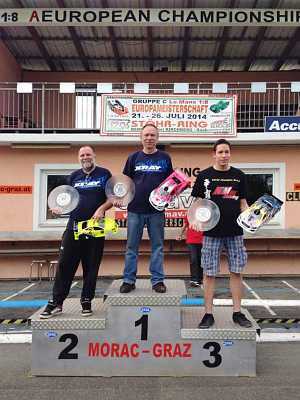 He does not have hungarian license, so basically I won this round of the hungarian nationals. 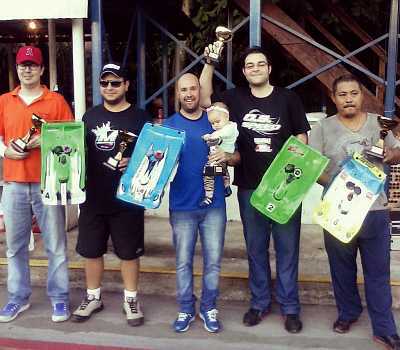 In the overall championship I had very bad luck. If the championship leader would get 0 points and I would won the race, I would be the champion. 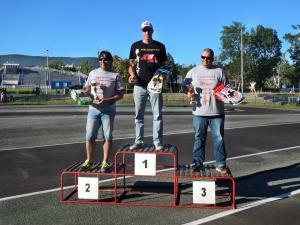 I won the race, and he gave up, but he scored one point, so he became the Hungarian champion, and I finished 1 point behind him on 2nd position. 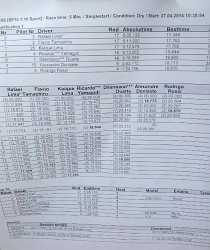 However I was only able to attend 3 races out of 5. 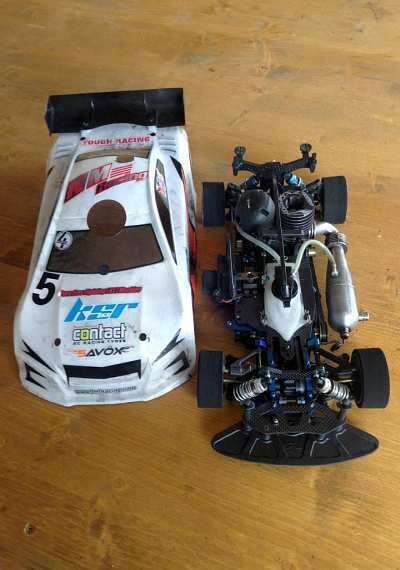 For next year I’m planning to race the K8, and I think I can find very good drivers for the HK-1! I’m looking forward the next season! 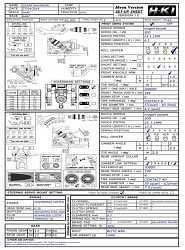 Thank you for all your help! 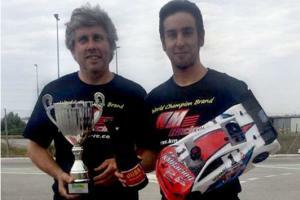 Edu & H-K1 took 2014 Spanish 1/10 GP National Champion ! ! ! 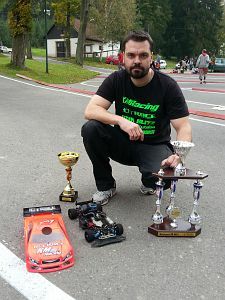 KM H-K1 Victory in Hungarian National! ! ! 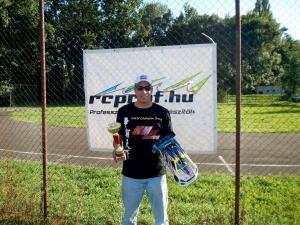 I had a great weekend and I was able to win the Rd.4 of the Hungarian Nationals. 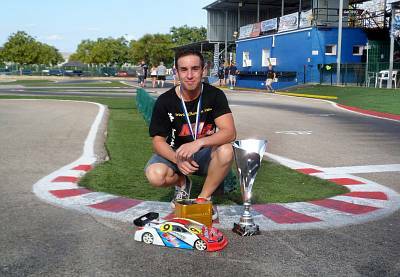 I have learned a lot about the car again, and it was working perfect during the 30 minutes final, what I was able to drive without any mistake and finished 3 laps front of the current hungarian champion. 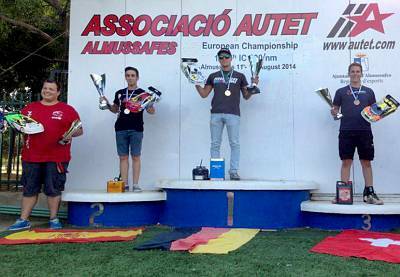 Great Results for KM H-K1 in 2014 Euro Champ! ! ! ! 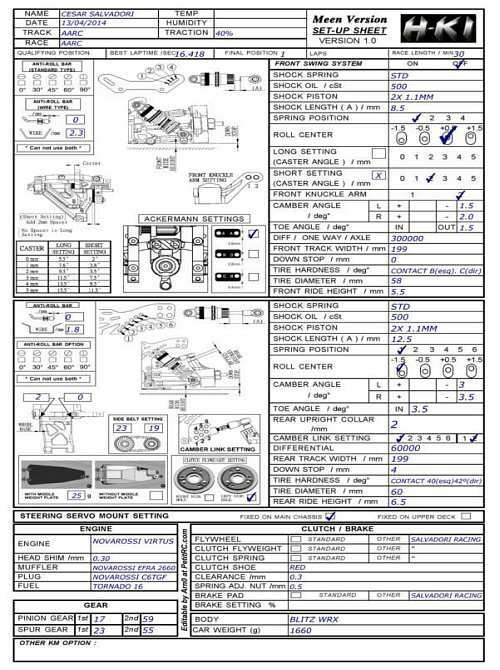 Date : 2014 Aug.13th ~ 16th. 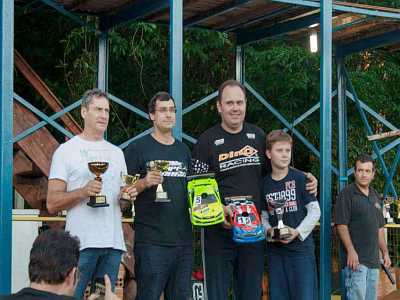 Silvio was all good & very fast throught out the week and he qualified 4th into the A main final. 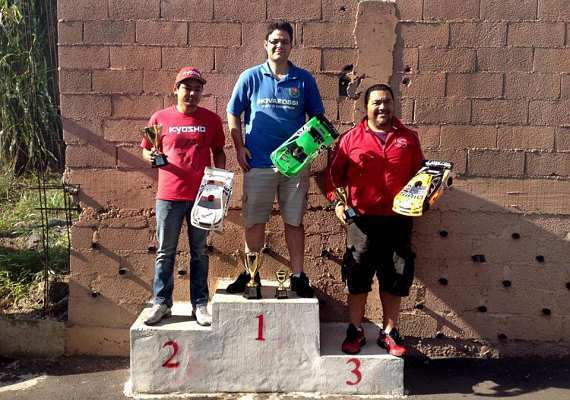 Escandon was also strong & fast,even he has to bump up from 1/4 and semi,he pass throught all with very good run and stand 9th into the A Main final. 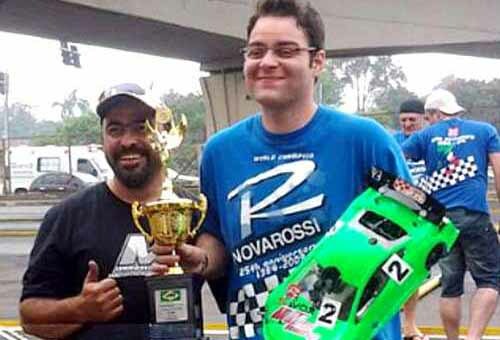 For A main final,Silvio was 2nd until his receiver broken down,without this accidient he may have chance to challenge the top spot since he can save one pit stop than the leading car. 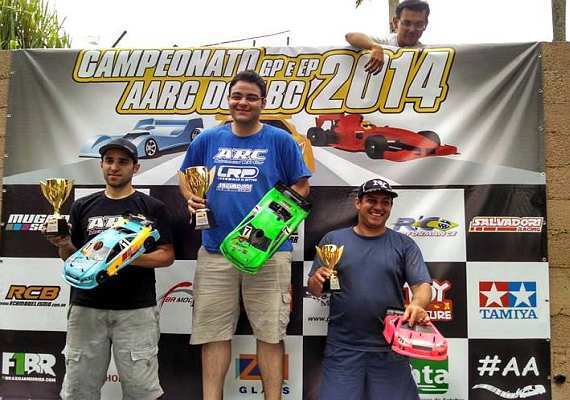 Escandon was performing a very fast & stable drive on 3rd,he took the 2nd position and secure his podium until the end. Great job by our two new & young drivers!!!!! Good news from Germany! ! ! 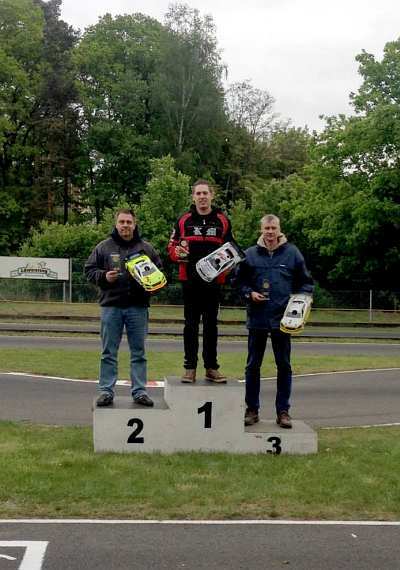 Below race report from XciteRC & KM driver Kristof Sielaff: Hello,This Weekend was the 4th run for the Northgermanchamps in Munster. 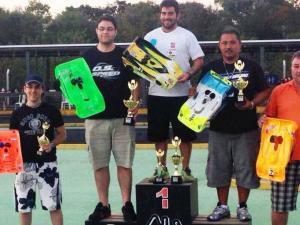 After the Qualifying I was on p 2 . Only few Minutes After the Start i overtak and was in the lead until the end . I had to make one more fuelstop but I won with a Good Gap of over 10 secounds I only drove so fast that i win and have a good gap because the Tyre wear was very high so I saved my Tyres . It was 30 degrees but the Car runs reallly good! 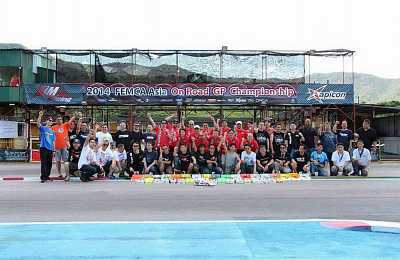 2014 FEMCA Nitro On-road Championship! Good News from Japan again! ! ! 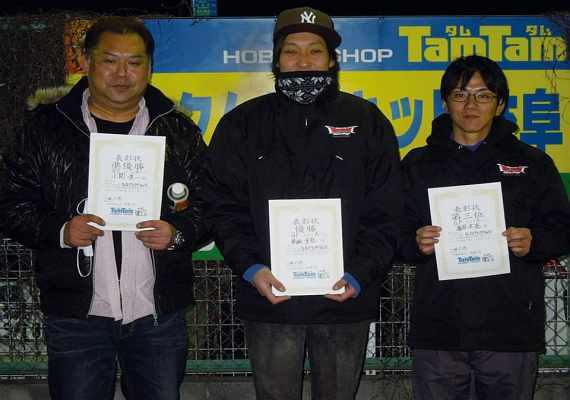 Race Name : 2014 TamTam Series Race Place : TamTam Gifu Branch Permanent Racing Track Date : 2014 June15th H-K1 Title : GP Touring Class Champion by Kobayashi-san ( Congratulations, Kobayashi-san!! ) TQ by Asahara-san Top 10 : Five H-K1 Below race report from KM Japan : Good news again and again from our team drivers in Japan!! 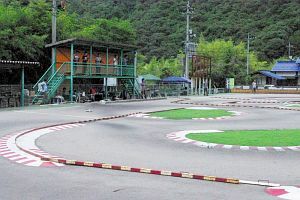 TamTam Gifu Branch has their permanent Racing Track, and they organize their series race in last Sunday (June15th). 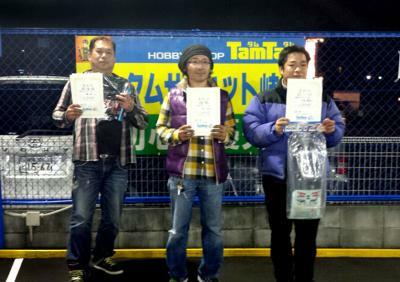 And our team driver, Asahara-san attend the race with his many friends who drive H-K1. 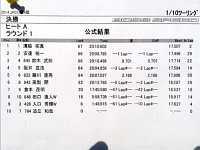 Asahara-san got TQ by his H-K1, but grand final, his H-K1 run out the fuel, so loose the race. 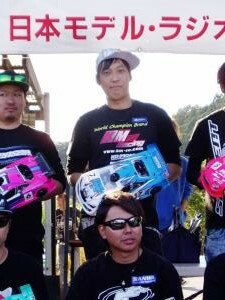 But his friend, Kobayashi-san (H-K1) won the race!! 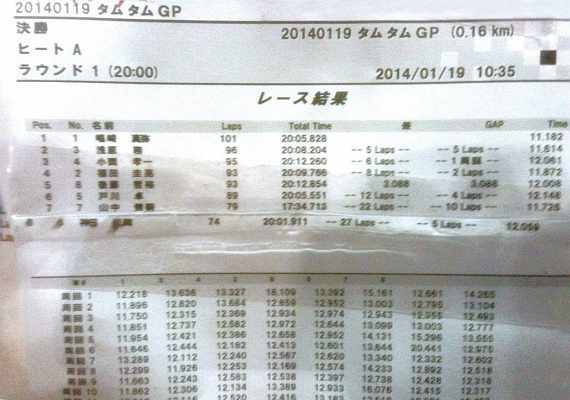 This race, Shimazaki-san could not attend, but his H-K1 has still track record that no one can beat!! 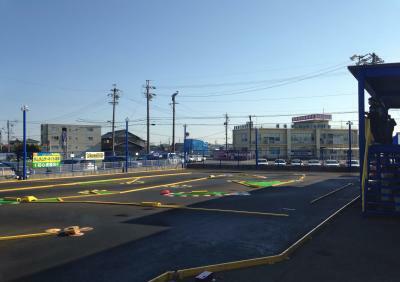 Still local drivers can not forget Shimazaki’s crazy fast driving there!! Thank you very much. 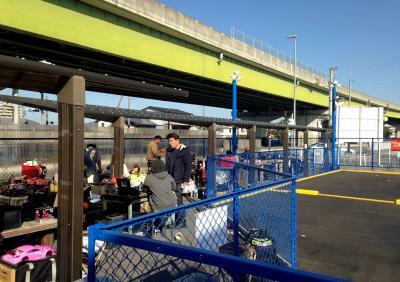 Below race report from KM Japan : Hope you are fine. Our new young team driver, Takahata-san just receive his H-K1 Meen kit one week ago, and finish assembled his H-K1 just before his first race with the KM, and qualifying 2nd (best lap by Takahata) . 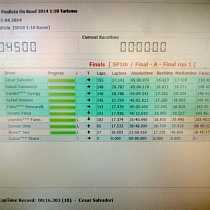 In the A-main final, he won the race! ! 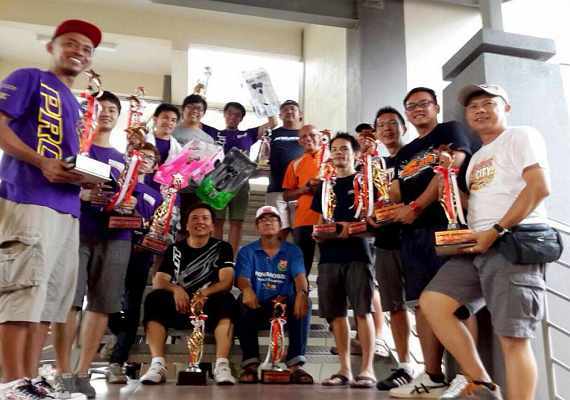 Not only the staffs from “Central”,many top Japanese drivers such as the current 1/8 GP on road world champion Sahashi-san, and also the fast local drivers who always attend Japan National were all attending this race. 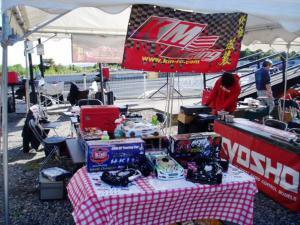 However, even no time to set up H-K1, just shake down (assembled chassis followed by instruction manual), Takahata-san made best lap during this weekend, and took champion of the race. 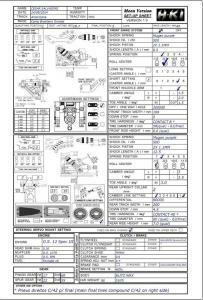 Many local drivers are big surprised this unbelievable performance by H-K1 chassis & Takahata-san. 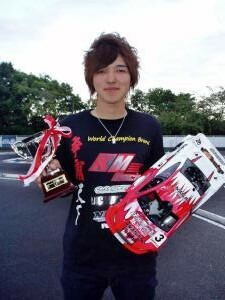 After he study H-K1 more and more,sure he will be even faster for coming races in both Japan domestic and overse! ! Great News From Spain! ! ! 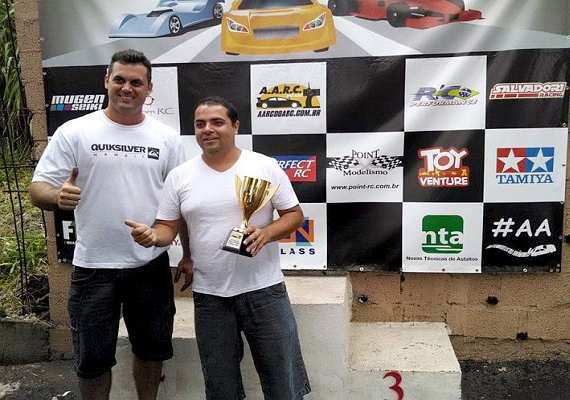 Edu took a convincing win after dominating all the weekend, setting the fastest lap and a new track record. 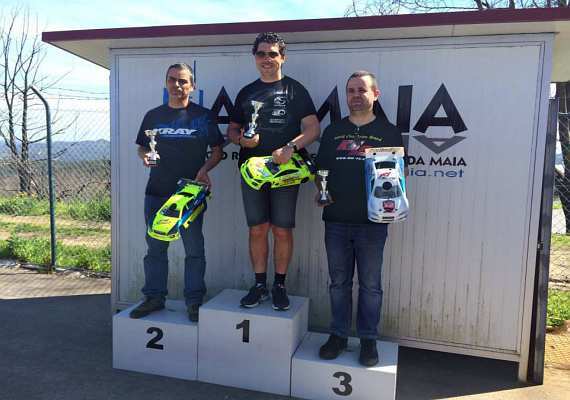 Edu Escandón wins Spanish Nats 200mm Rd2 The 2nd round of the Spanish 1/10th 200mm National Championships took place last weekend in Gijon,north of Spain.Defending champion Edu Escandón took TQ honours with his O.S. 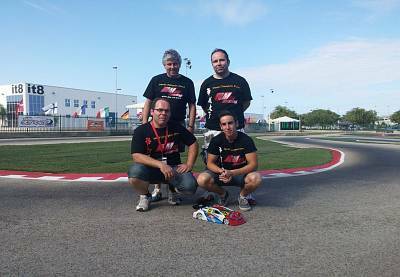 powered KM Racing, setting a new track record being the only driver able to managed 16 seconds laps.Nacho Lopez was 2nd, Juan Hidalgo 3rd and Sergi Franch fourth. Final saw Edu running away, despite having a flame out due to a bit lean engine setting before his second pit stop, which cost him a lap,still won by a comfortable margin of 2 laps.Jonnhy Pastor came in 2nd and Sergi Franch completed the podium. 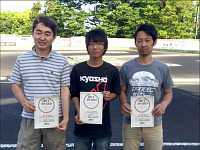 Race Name : 2014 JRCC GP Series ( round 4 ) Date : 2014, May 11th Place : Boss Track, Japan H-K1 Titles : Best Lap — Adachi 2nd Place — Adachi Below race report from Manabu Mizota: Our team driver, Adachi-san attend JRCC SeriesNo.4 at Boss Speed in May11th, 2014.This year 1/10 JMRCA Japan National will be held here, so many participants for 1/10 class… Like Adachi-san ( 2010 Champion ), Sports man class 2012 Champion and many top drivers attend this time. 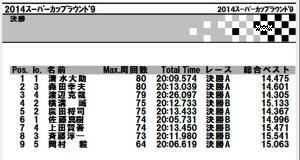 Adachi-san’s H-K1 made best lap time among such top drivers, but finally 2nd qualifier, and finish the final at 2nd. He keeps testing there for coming Japan National, and his H-K1 getting better and better. 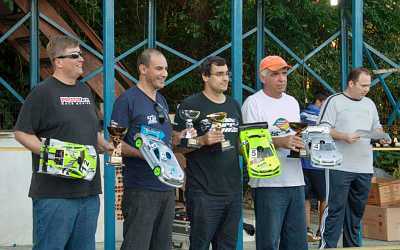 We can not wait the Japan National in Oct.
H-K1 got good result in Portugal GP Championship! ! ! Great News From Barzil! ! 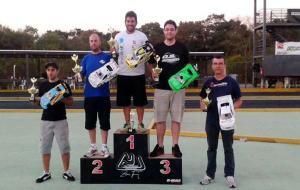 Race Name : 2014 Sao Paulo Championship ( 2nd Round ) Place : Sao Paulo,Brazil Date : 2014 April,26th~27th. 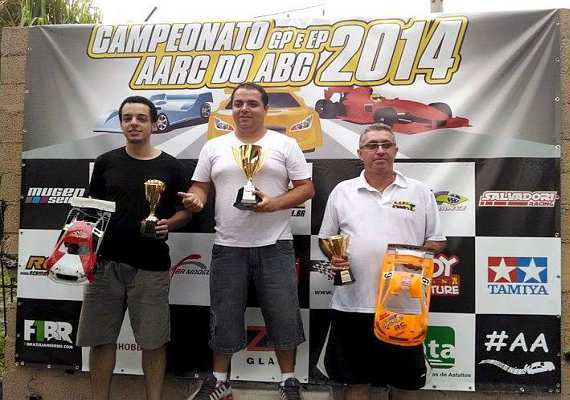 Below report from Cesar : This weekend AARC track received the 2nd round of São Paulo state championship. 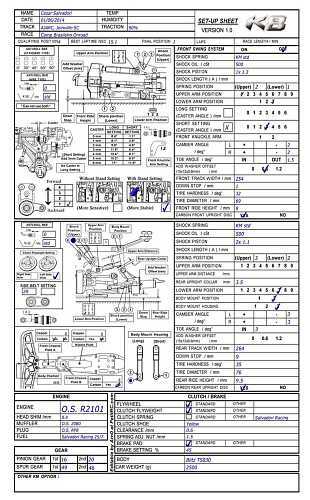 The qualis went perfect as Rafael TQ’d and so did I, and despite the super low traction, even worse than 2 weeks ago, I managed to set a new lap record! 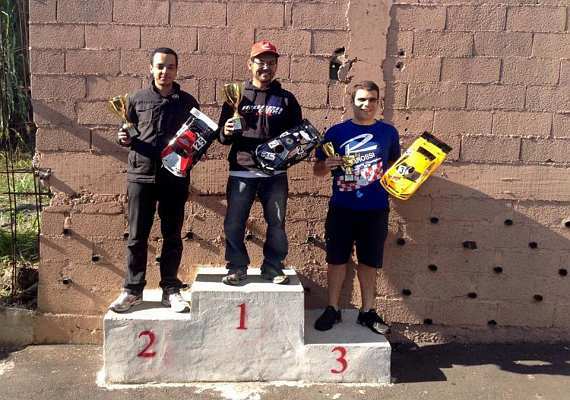 The sportsman 30min final was going smooth for Rafael, after a bad start he droped to 2nd place but quickly recovered the 1st position and pulled away from the rest of the field. 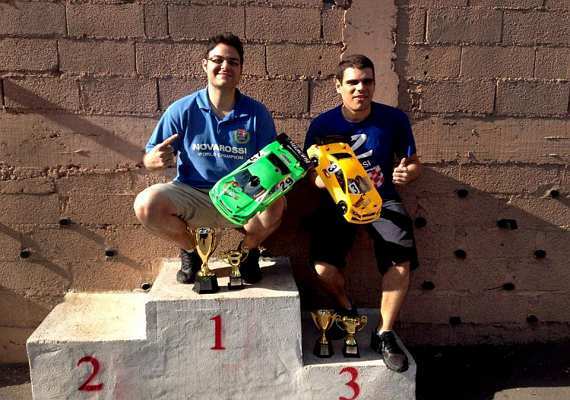 Rafael kept the pace of the race until 27′ when his engine blew up while leading 2 laps from 2nd place, bad luck for a well deserved victory. 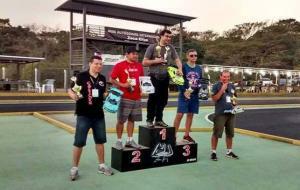 Rafael still managed to get a podium finish in 3d place, and also set the best lap of sportsman class.The expert 45min final was flawless, I started and held the 1st place despite going sideways at the two first corners after the race start and quickly pulled away to never look back. This time I decided to stop every 5 minutes and it was ok during the whole race. 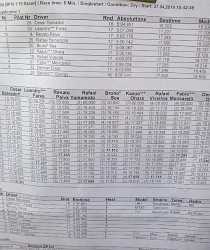 I set the fastest lap of the race and won the race with a 7lap advantage over ther 2nd place. 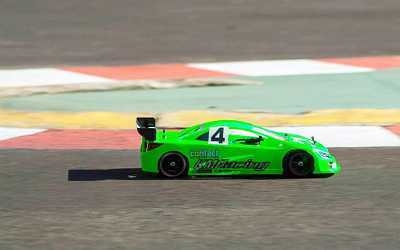 Fabio Mencarelli finished on 6th spot. We still have 2 more round to finish the season, I look forward to bring home the title after a 2nd place in 1st round and the victory in 2nd round! 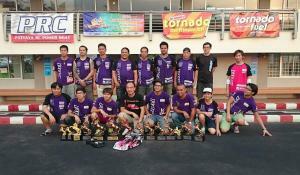 2014 Thailand ORT Oasis Cup! 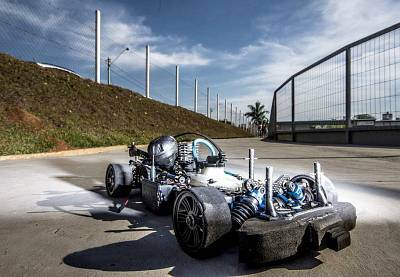 Great news from Brazil — KM H-K1 doubles for expert and sportman class! ! ! 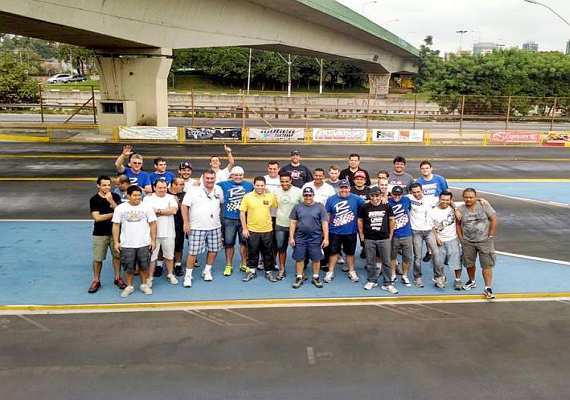 We have great news from Brazil! 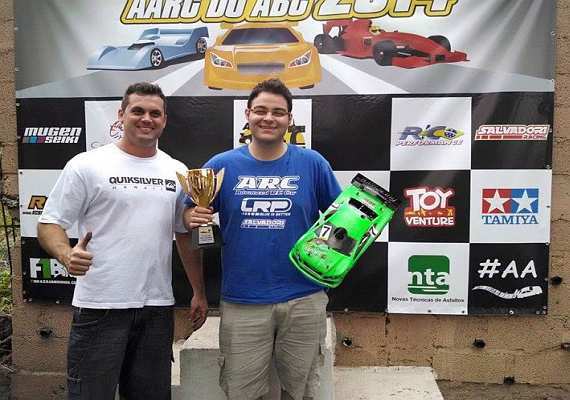 KM H-K1 doubles for expert and sportman class in brazil AARC race! ! ! Perfect Win For KM H-K1! ! ! Dear Sirs and Madams, Hot news from very cold Japan! ! 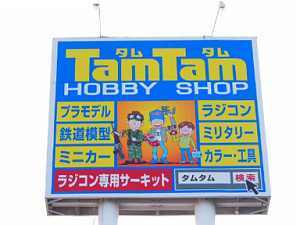 Last weekend, One of the big hobby shop, TamTam organize their 1st series race at their permanent racing track in Gifu, Japan. 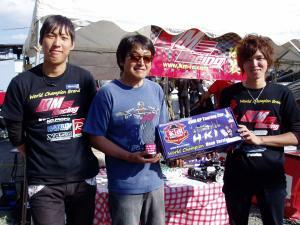 KM Team driver, Fukuda, Shimazaki, and new team driver Asahara (Ex-Japan 1/8 GP Champion with his shake down H-K1 WC) attend this first race in year 2014. 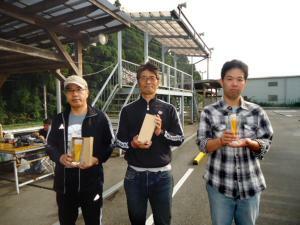 Shimazaki got TQ and follow by Fukuda, and Asahara…. 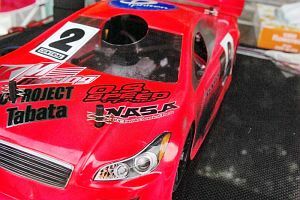 When the final starts, Shimazaki’s H-K1 was too fast! ! 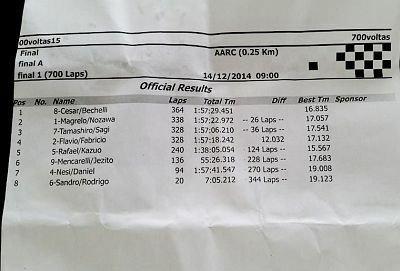 When the 20 minutes final was done, he was 5 laps huge lead against 2nd place. 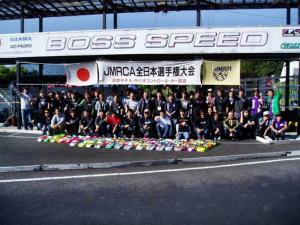 The race season do not start yet in Japan, but we can not wait this year Japan National & World Championship! ! 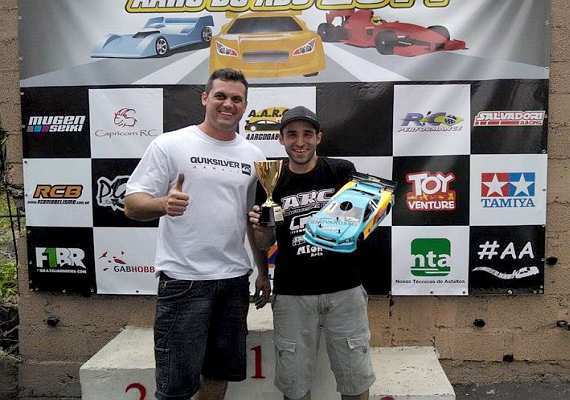 By the way, A-main was 8 cars because of very small technical track, and 5 cars were H-K1! ! 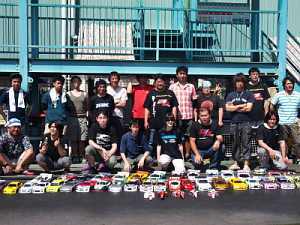 TamTam Gifu Branch 1st series race Participants : 21 drivers. 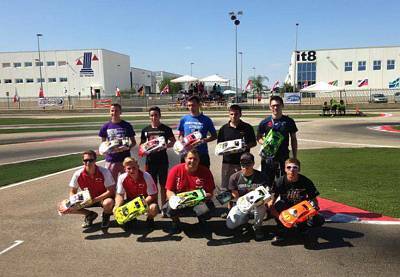 H-K1 titles : TQ and 1st, 2nd, and 3rd place…. Perfect win! ! Thank you.